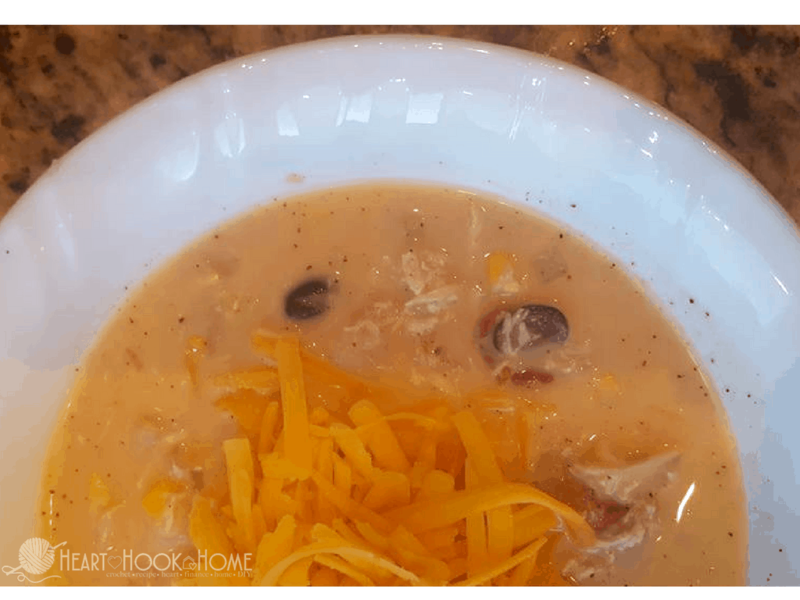 This Creamy Mexican Chicken Soup will warm your heart and your home. It boasts a smooth, creamy texture thanks to the heavy cream, it gets sweetness from the corn and a nice, mild spice from the chili powder and green tomatoes. 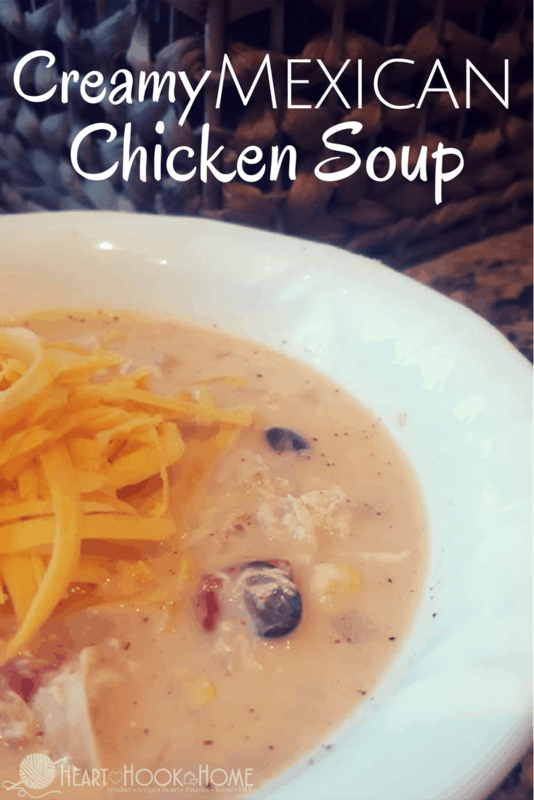 I enjoy cooking meals that are inexpensive, hearty, simple, and flavorful and this soup fits the bill. This entire meal is done in about 30 mins and 15 of that is just letting the chicken simmer! That’s what I call winning! Once that soup is done you can serve it as is or top it with extra goodies! I vote for extra goodies. Heat oil in a large pot. Add in diced onion and jalapeno and sauté for 3 mins. Add in the garlic the last 30 seconds. Add in chicken broth, chili powder, cumin, pepper, and chicken. Bring to a boil then simmer for 15 mins, until chicken has cooked through. If the chicken breasts are really thick, I recommend slicing in half to make thinner. Remove chicken and set aside. Add in tomatoes. Shred/dice the chicken and return to the pot. Then add the beans, corn, cream, and sour cream. Stir and then cook until heated through. Serve warm. and ENJOY! Heat oil in a large pot. Add in diced onion and jalapeno and sauté for 3 mins. Add in the garlic the last 30 seconds. Add in chicken broth, chili powder, cumin, pepper, and chicken. Bring to a boil then simmer for 15 mins, until chicken has cooked through. Remove chicken and set aside. Add in tomatoes. Shred/dice the chicken and return to the pot. Add beans, corn, cream, and sour cream. Stir and then cook until heated through. Serve warm.